ESPON refractory coatings are formulated to solve these problems. ESPON refractory coatings can withstand up to 1800 deg. C., and prevent thermal shocks in refractory lining. Hence, life of the refractory is increased. Due to high emissivity of ESPON refractory coating, heat is reflected back into the furnace, thereby reducing time to achieve required temperature. Furnace retains high temperature for a long period even after shut down. This reduces start-up time when furnace is switched on next day. Heat uniformity is facilitated and maintained by the reflective ESPON coating. Furnace outer shell temperature does not geat excessively heated up. These factors lead to increased refractory lining life and lower fuel consumption. 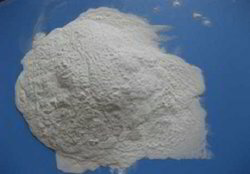 Due to its ability to withstand high temperature, ESPON refractory coatings are also used in Acid Regeneration Plants to prevent slag adhesion. ESPON-RCP Refractory Coating is a zircon based product that is used to protect refractory bricks lining in furnaces. Looking for Refractory Coatings ?